I find a curiosity people to be quite attractive. There’s something that’s very pure about it and we see a lot of this in children. They feel no shame about asking or saying whatever’s on their minds. If something arouses curiosity, there is no stopping them. They will see it to the end no matter the cost. I see going into a lot of trouble as a kid because of this. If I was told not to touch your press, something, I had to find out why I was told not to do that. Yet, it seems that as we get older, we lose the capacity to be curious, we stop asking questions and we draw conclusions instead. Or even if you’re curious about things, we don’t seem to show as much as we do to others and keep it to ourselves and perhaps it’s because we deemed acceptable when you’re a little but unusual, even annoying to others when you’re adults. Because of that, we become more formal, less open and less expressive. In today’s age of information overload and instant gratification. I feel like we’ve ceased to be a people who are curious, especially about those around us. Rather than curiosity there is indifference and we seem to be more isolated than ever before and I’ve forgotten what it is to really relate to one another. In a way its not what the Internet and the social media have done. And it is passive. There is no active engagement and instead of going to the actual person, we rely on information that is made available about the person and from that information we make assumptions and judgments and we’d let those assumptions and judgements be our guiding principle. So we live under the illusion that we’d know them when in reality we really don’t know a thing or two about them and I believe this is the idea that is challenged in today’s passage. Nathaniel was no different. He thought he knew a thing or two about Christ. When Phil, he invites him to go see this man who the prophets wrote about in the Old Testament. He replies by saying, can anything good come out of Nazareth? Nazareth was an insignificant village. So to Nathaniel, the idea that the messiah would come from such a place was a bit ridiculous. It made no sense, but what I find more interesting here is how Phillip counters this question from Nathanial. He doesn’t even bother trying to convince them logically. 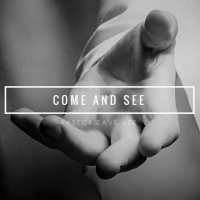 Instead, he simply says, come and see. When you think about it. It’s a brilliant way of answering questions by not answering it. At the same time; come and see. I wonder why Philip might’ve said this because earlier in your chapter we found that Jesus says the same thing to other disciples who asked him where he’s staying. It says, when Jesus turned and saw them following, he said to them, what are you looking for? They said to him, rabbi, which translated means teacher, where are you staying? He said to them, come and see. They came and saw where he was staying and they remained with him that day. They came and saw and they remained. That’s all that the writer tells us. We have no idea what the disciples saw, but we know what they was enough for them to stay with Jesus from then on. The same sense of mystery carries into Phillips encounter with Jesus. All that Jesus tells him is to follow him and he does, and the next thing we know is that he goes to Nathaniel and invites him to do the same. Again, with no explanation. He leaves the choice in Nathaniel’s hands either to confront his own assumptions or to remain where he is. As I was reflecting on this, I was very much reminded of the experience I had in Cuba last month. A few Sunday ago, Simon shared about his reflections on our trip from Knox, but some people came up to me afterwards and asked me about my thoughts on the trip as well, so I thought it’d be fitting to share them with you on as part of today’s message. Although it was a wonderful trip, not only for myself but for all the students that went on it It impacted each and every one of us in ways that we did not expect, but in the weeks leading up to the trip, I sensed this unspoken sentiment for a lot of us in class, which was is this really necessary? After all the triples happening during one of the busier times in our studies and if not worse over the reading week and besides some of us was also in ministry and families. So we made a that a lot to catch up after we got back and if part of our preparation for the trip, we read different materials about Cuba and their history and also a mission, but the question still lingered, is this really necessary? And 2 particular experiences there answered this question. So fast forward to the first Sunday there were there. We attended a service at a Presbyterian Church that was located about 20 minutes away from Havana. Just before to service beginning. I noticed that the back door of the sanctuary was opened or wide open, so I decided to sort of step outside for a little bit because it was a bit stuffy in the church. It was almost surreal and strange, was that the very moment I step down onto the sidewalk of the neighbourhood. I felt that I had stepped out into a whole other world. I was actually originally to show a picture that I took, but I thought maybe a short video clip might do better. So I prepared something for you, watch it first. That’s where I was standing and I just take a short video and it just panned it. You hear the dogs barking, the smell, the noise, the air. Everything just felt different. I felt like I was finally in Cuba because the comfort and the convenience of being at the hotel and doing the sightseeing of the city. It was nice. It was nice, but I felt like those things sort of kept the sheltered in a way. So after lunch we had about a half hour break till we had to attend like some sort of a seminar. So I went for a little rendezvous around the area. We were advised to move around in pairs for safety reasons, but I decided to sneak out alone. So I begin by walking down the street with no plan in mind. I randomly turned a few corners and passed by some houses. I’ve looked into some of them through the windows and saw families sitting inside just hanging out, watching TV and kids playing Lego, but the most memorable moment from that walk was coming across this scene. A woman crouching by a garbage dump, sorting through some things. I’ll just walking in saw this and seen this in that instant. Hit me in such a way that I could not articulate in words. You could say poor or whatever. It just doesn’t begin to sum up what that experience was like and to me this was the reality and ironically witnessing something like this at the time. The seminar that I attended afterwards, which was on Cuban life and family, would not have made one bit of sense to me. It would have been just the facts. And the third picture. I’m gonna show you a was taken at a school in Matanzas, which was where we stayed for the remainder of the trip, so if you go over to the other side, that’s like the baseball field and whatnot, so I with all the students from Knox, I wasn’t alone at this time and Simon was there too and while we were out for a walk in the neighborhood, we came across a group of kids playing baseball out of school. What began as an intentional act of sitting down with them rather than away from them, ended up really becoming be experience for us in our entire trip. Again, reading and studying could have amounted to the kind of reality we’re exposed to in that brief time together and as the students we still talk about amongst ourselves even nowadays of how invaluable the entire experience was. So to answer the question was it necessary? Yes. More so than that. Come and see what a profound statement it is because it tells us that without going there’s no sea and unless we go and see, we simply will new knowing that comes from knowledge, but there’s also knowing that comes from the actual encounter with the thing itself. And that’s the thing I believe that brings about true transformation and all of us, but it all begins from a place of curiosity. And I believe that is the quality that Jesus honoured in Nathaniel. He certainly had his assumptions, but that didn’t stop him from going to see Jesus. He had his doubts, but he’s far from indifferent and he was genuinely curious and that came from his heart. He was in the actual going in encountering Jesus that Nathaniel was able to know him as the son of God. The son of God who saw him when he sat alone under the fig tree and affirmed him for who us. So may we be a community of people who never lose that sense of curiosity. People are willing to question their assumptions and judgements, and I prayed out of our genuine interest for one another. We’d be able to have deep and meaningful conversation and encounters that remind us of God’s Love, love that is willing to meet and know the other where they are and as they are. Love that could be expressed in simple presence and touch. And that’s why I love this community and I haven’t even been here for that long. It’s like one big eclectic family care. Here, people are who they are and they’re embraced for being who they are. And I see this all the way from adult congregation down to a youth and children. Last weekend, our Hi-C’s had their annual march break retreat and each year there always seems to be a student who is very adamant on not coming. So it forces me to try to, you know, try every method of persuasion in the book sometimes to the point of deploying the most extroverted students in the Hi-C to try to get them to come. I understand. They may be new to the church and find the big crowds at retreats overwhelming and intimidating. But by God’s grace they all ended up coming and are transformed by the love and inclusion they experienced in the community. And usually every year on the last time we started thinking this candlelight sharing where we just express what’s on our thoughts. And there’s one word that just comes up every single time. Thankful for the community. And as a pastor, saying that is one of the great joys of ministry. So today, I know it might be a little awkward, but I want to invite you guys to look around. People beside you, behind you. No seriously try. Go. Beside you. Behind you. In front of you. Take a good look at them. I mean you’ve known you probably known some of them for awhile but really see each and every one of them is an invitation to really come and see. So maybe I’ll go forth today and see things God will do that are greater than we can ever imagine. Dave Lee is the Youth Pastor at St. Timothy Presbyterian Church. He is currently attending Knox College at the University of Toronto.